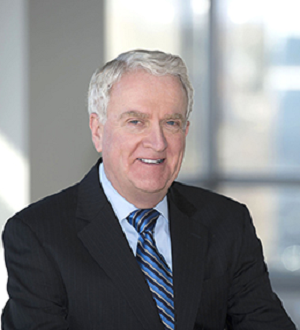 As a litigator before the Court of Chancery, Bob has handled contests involving the control of corporations and partnerships, stockholder derivative actions, stock list cases and contract cases. Bob has extensive experience litigating cases in Superior Court, and in particular the Complex Commercial Litigation Division (“CCLD”) of that Court. Bob is an original member of the CCLD Advisory Committee, which recommended the CCLD policies and procedures. His Superior Court experience includes commercial, insurance coverage and liability cases. A member of the panel of commercial arbitrators of the American Arbitration Association, Bob has extensive experience as an arbitrator and mediator. Bob has represented insurers in several high profile coverage cases, including claims arising from the 9/11 World Trade Center attacks and from Bernard L. Madoff investment Securities, and cases involving toxic waste, asbestos, product liability and professional liability claims. Bob began his career as a trial attorney with the United States Department of Justice in Washington, D.C., where he handled civil and criminal cases for several consumer protection agencies. Bob holds an AV Preeminent® rating from Martindale-Hubbell (1987-2018), has been named to the Delaware Super Lawyers® list (2007-2018) and is listed in The Best Lawyers in America® (2007-2019). Mass for the Homeless, Inc.